Sports podiatry involves the diagnoses and treatment of lower limb injuries including the foot and ankle. As a regular runner himself, jarred has noticed many common tendencies with lower limb injuries and how it can be contributed to the way a person runs and the footwear that they use. 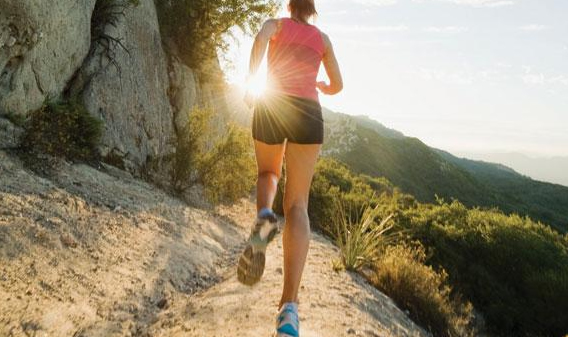 Running technique accounts for many overuse lower limb injuries we often see at AMA Podiatry, with the most common in being plantar fasciitis, Achilles pain and shin splints. The goal with running should be for the foot to land underneath the hips to absorb pressure correctly and propel the body forward. Many recreational sports people tend to either over stride to increase their speed or lean to far forward which causes the foot to land right out in front of the hips. This can slow you down (acting like a parking brake in your car), which places excessive strain on the soft tissue and joints of the body. Footwear is another big factor that can lead to injury. Most recreational runners are guided to buy the best supportive shoe thanks to marketing from big companies. The issue is that most people don’t understand what foot type they have, for instance being told they have a “neutral foot type” and purchase a very expensive supportive shoe brand (asics kayano). Then discover that too much support can cause the body to compensate in a certain way which then places a huge amount of pressure on the outsides of the knees, hips and back. If the runner hasn’t had correct podiatry footwear advice, then this is a recipe for disaster causing chronic overuse injury. Therefore, a qualified sports podiatrist can help. They can assess the right type of shoe required for your activity and help in treatment of acute chronic injuries or provide running technique advice, with the use of simple cues that can cause massive changes in the way the body absorbs pressure from the ground. Thus, leading to reduced rates injuries and better performance. A thorough Bio Mechanical assessment is conducted where your sports podiatrist can determine how foot position can influence the alignment of the rest of the body during walking and running. If you can image the feet as the foundations (lets refer to them as pillars for instance) that hold your house up (i.e. “your body”), if those pillars are angled slightly in the wrong position, this can cause huge cracks further up in the house (leading to house (body) to collapse). Now if nine times your body weight is moving through the joints and soft tissue of the body during running, and if your foot is out of alignment by even a few degrees, this can cause huge issue further up in the body. Once your Sports podiatrist can identify the cause of injury, a rehabilitation plan is implemented that involves soft tissue therapy, joint mobilisation, exercise prescription and in some cases customized orthotics which are used to correct the alignment of the feet allowing them to absorb and transfer ground pressures. By carry out a Bio Mechanical assessment early we can predict problems before they occur. Posture, maintain a tall strong posture. Image a piece of string pulling you up from the middle of your head. Shorter steps, cadence we aim for is 180 steps per minute. This will allow you to adequately land below your hips. Dynamic stretching before running, it is crucial to warm up soft tissue to allow it to work efficiently. Hydrate, 2 litres of water per day and 4 litres after activity. Feet Swelling and Leg Pain During Pregnancy? Corns and Callus – Why Do they Occur? Copyright © 2019 Alex Adam Podiatry. All rights reserved.